If you blog, then this is welcome news. 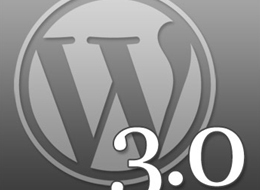 WordPress, the world’s most popular blogging platform, has just been updated to version 3.0. The combined work of 218 contributors over the past 6 months, it’s the thirteenth major WordPress release so far. Codenamed “Thelonius”, WordPress 3.0 has implemented a whole raft of new features and bug fixes, including custom backgrounds, headers, short-links, menus, post types and taxonomies, all of which are demonstrated in the new default theme “TwentyTen”. Site owners will be especially impressed with new built-in multi-site functionality, allowing you to admin any number of blogs all from the one installation. WordPress 3.0 is now available for download. You can view the full list of updates and changes here.